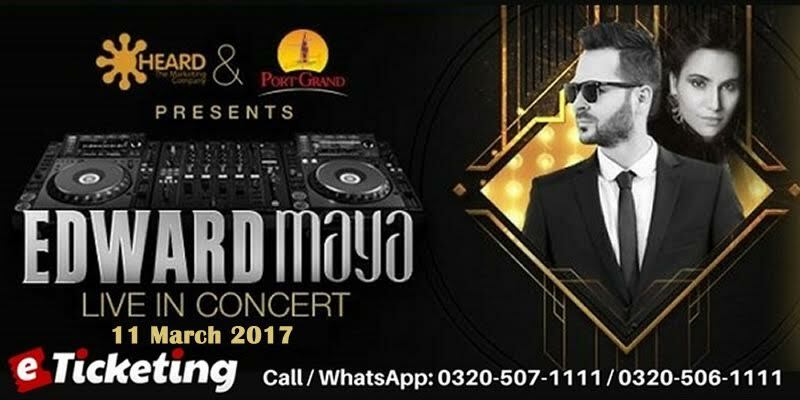 Stay tuned for upcoming events for Edward Maya Live in Karachi in near future. Edward Maya is a popular DJ, musician, producer, performer and composer from Romania. He will perform Live on 11 March 2017 at Port Grand in Karachi. Entertainment seekers in the metropolitan seaport city and nearby areas can watch Stereo Love fame play entertaining Mayavin Music live. Port Grand is the ultimate hangout, a heaven for a Photographer, an everlasting excitement for a Gourmet, a walk of life for a connoisseur of arts and crafts, a backdrop as elegant as Maxwell’s equation, a thing of beauty and a joy forever. Gone maybe the days when an architectural project was an aesthetic undertaking. But Port Grand certainly rolls back years when streets themselves made a vibrant art gallery. Years when one’s view was not strangled with dust, wires, seepage, neglect and betrayal. Years when one’s imagination was not obscured by fleeting ambition, earthly desires, pure greed and excessive bigotry. You could feel city breathing then and so did you with it in unison and harmony. Terms & Conditions : All ticket sales are final. No refund or exchange is possible once tickets purchased. Entry rights are reserved by organizers. Best Viewed at 1024 x 768 pixels and above. This Page loaded in 0.08817 seconds on Tue, Apr 23, 2019 (12:56).